“Great minds think alike.” We’ve all heard this phrase before. It typically warrants saying when someone has an idea that you were already thinking about. “Great minds think alike, huh Kirk?” Think about that for a moment. If all great minds thought alike, where would we be? If Alexander Graham Bell thought only as far as Johann Reis’s version of the telephone, we wouldn’t have the voice quality we have now. What if we could only transmit tones?? Can you hear me now? Here’s another example: If Mary Anderson thought just like everyone else, she might not have invented windshield wipers. 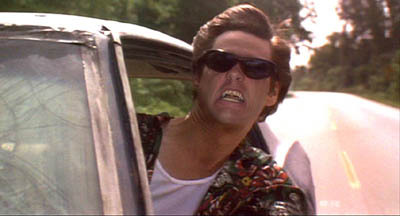 We don’t have to stick our heads out the window like Ace Ventura when the windshield gets dirty. It’s not quite as fun to flip a switch, but you get my point. Thought diversity. If everyone had the same idea, there would be no point in having team meetings, collaborative projects, or brainstorming sessions. Thought diversity is a crucial part of the team model. Solution stimulation. People think differently. One person may have a different outlook or solution for a problem. If they thought just like you do, the problem could get worse. Think of these individuals as Solutions Stimulators. Collaboration. Mentioned above, collaboration is how some of the best ideas come to fruition. Different people offering different points of view provide a much more in-depth look into the challenge and solutions offered. So, think about what makes you different, unique. I’m curious, so I have a lot of questions (I get along great with my friend’s 4 year old). How are you applying this concept in the job search and on the job? What’s your take on this common phrase? Do you think that great minds DO think alike? I’d love to know. Please weigh in by leaving a comment below. As always, thanks for reading. We should contantly challenge the way we think by surrounding ourselves with people that think differently than we do. That is the key to having a productive and forward-thinking team, family or peer group. Diversity of thought is as important as demographic diversity. Thanks Mark! I appreciate the comment and kind words. See you at a SIFE event soon! Kurt – Love this post and agree wholeheartedly !! 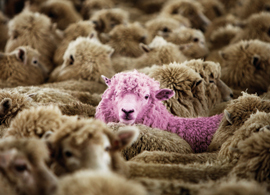 Too many organizations suffer from “groupthink” and don’t see the value in diverse thought. I revel in the thought that people have different thoughts/approaches because we only grow from that being a part of our culture. Thanks Steve. You’ve been a great supporter, helping me get started in the right direction. Congratulations on the new blog! I added it to my blogroll so others can get to it easily from here. Keep up the great work! looking at it from a different angle though, uniqueness is original; and there can never be two originals…..